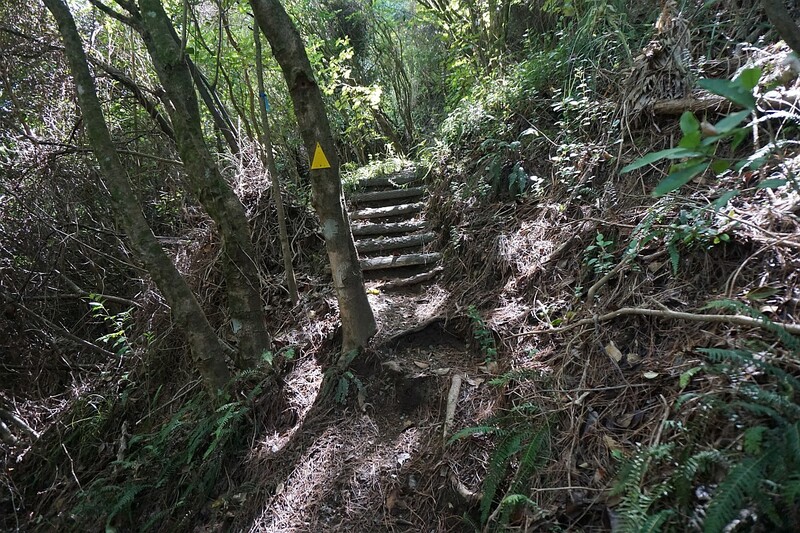 Both of these tracks are narrow, and mostly quite steep, with steps on many of the steepest parts.These tracks can be used as part of a walk to or from the summit of Mt Te Aroha, or can be walked as parts of a loop, together with the Summit Track and/or Tui – Domain Track. 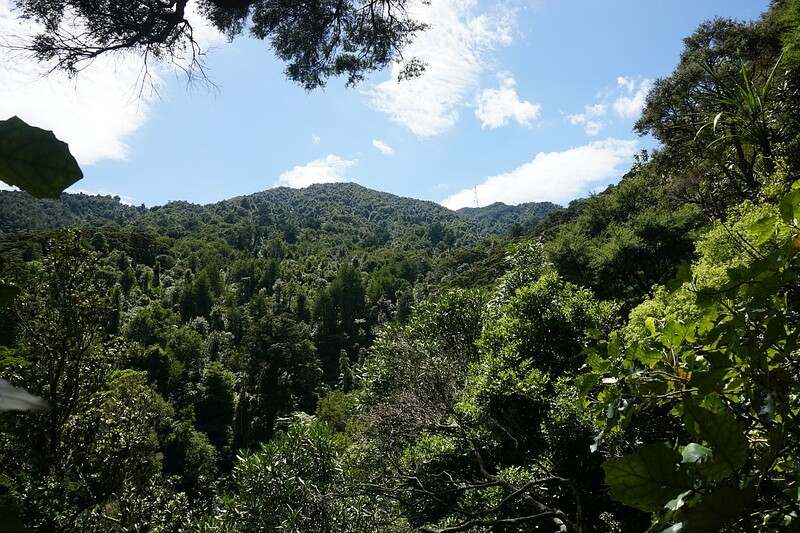 The walk described here started and ended at the Mokena Geyser, climbing up Horseman’s Track to meet with the Summit Track, returning back down to the junction with Lipsey Track, then walking down Lipsey Track and Tui – Domain Track back to the geyser. Parking is available in and around the Domain, and there are toilet facilities at the Domain, both by the Information Centre and in the spa building as well as other locations. 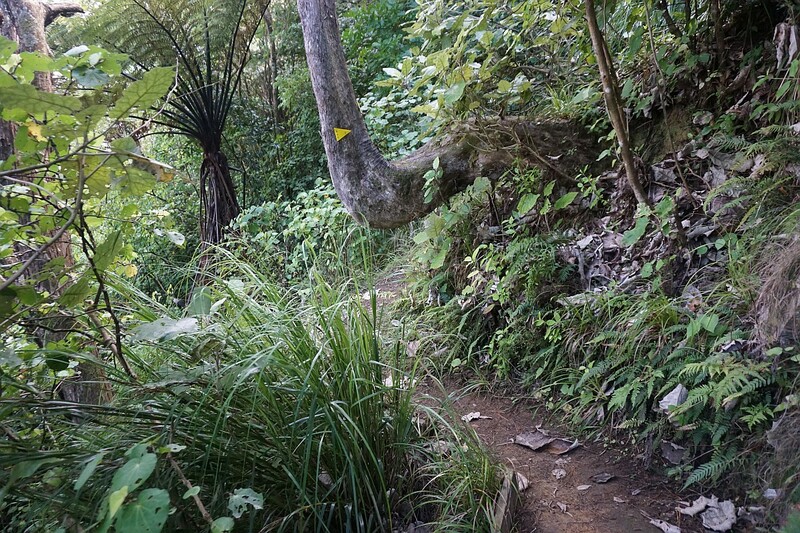 Horseman’s Track branches off the Tui – Domain Track only a few metres from the start of that track by the Domain. There is no sign to indicate what this small construction was originally used for. 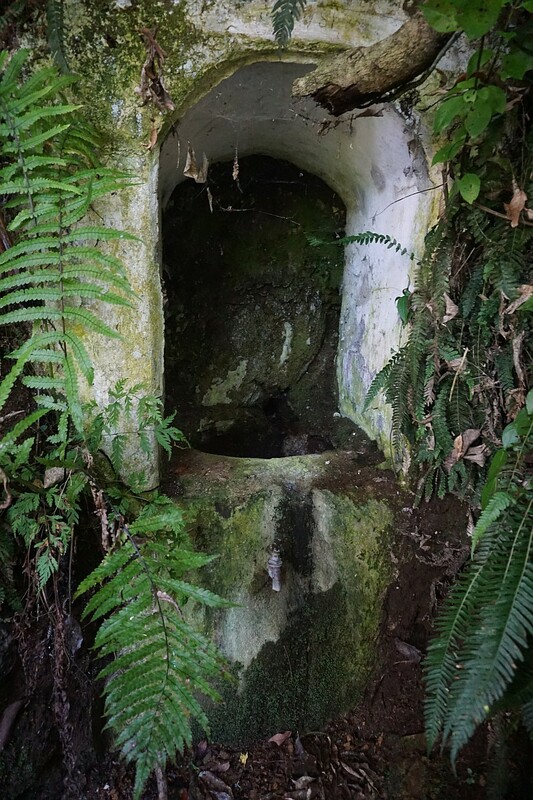 Perhaps a water fountain, or a drinking trough for horses? The museum in the Domain would probably be a good place to ask. Apparently there is a water supply, since there is a tap on the front. It’s very near to the start of Horseman’s Track. 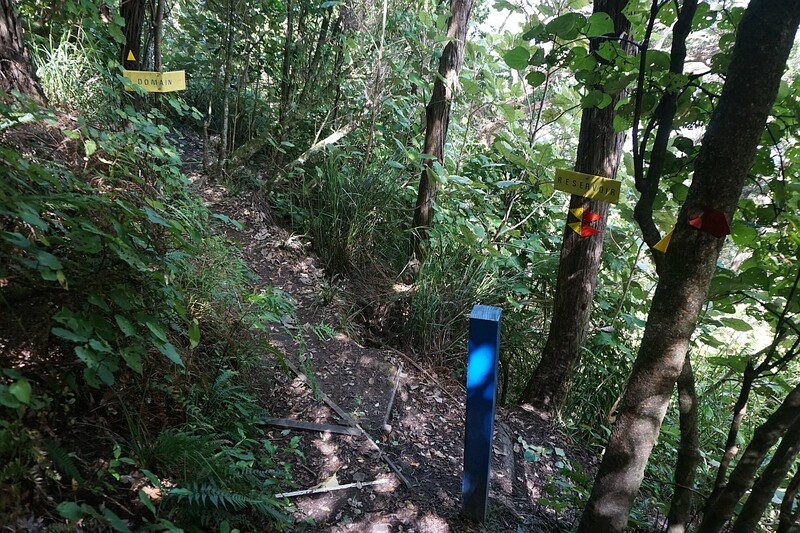 This section near the start is typical of the track, being narrow and steep, but well marked. 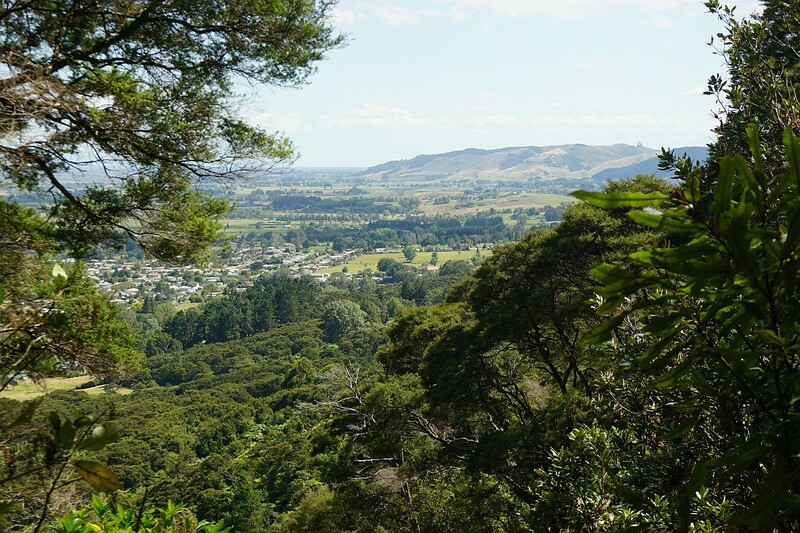 At various locations during the ascent of Horseman’s Track there are views through the vegetation, down the valley to Te Aroha and further afield. 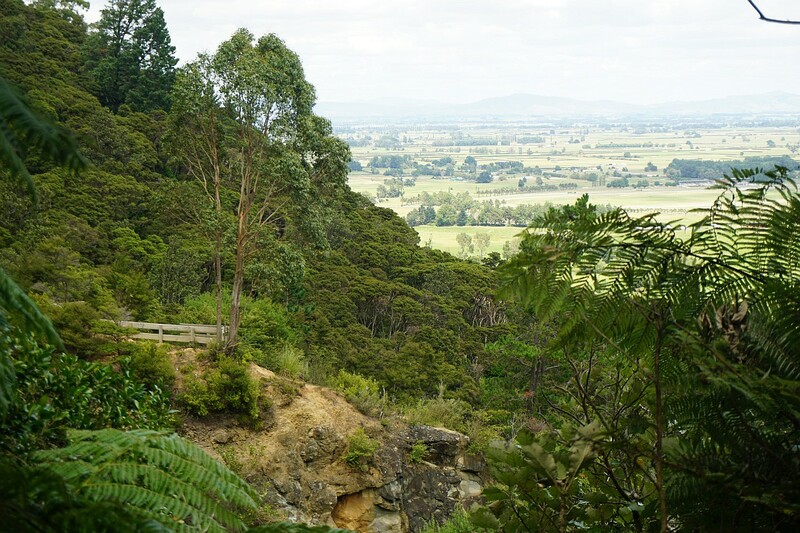 Looking northwards from Horseman’s Track. 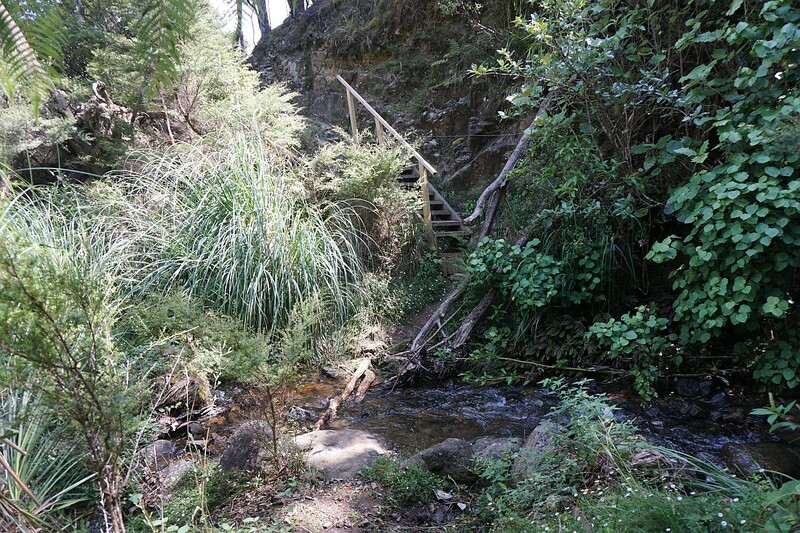 Another typical segment of Horseman’s Track. There is a steep dropoff to the left of the track, and a right-angled tree trunk to squeeze past. Fortunately the tree can be used as a handhold. 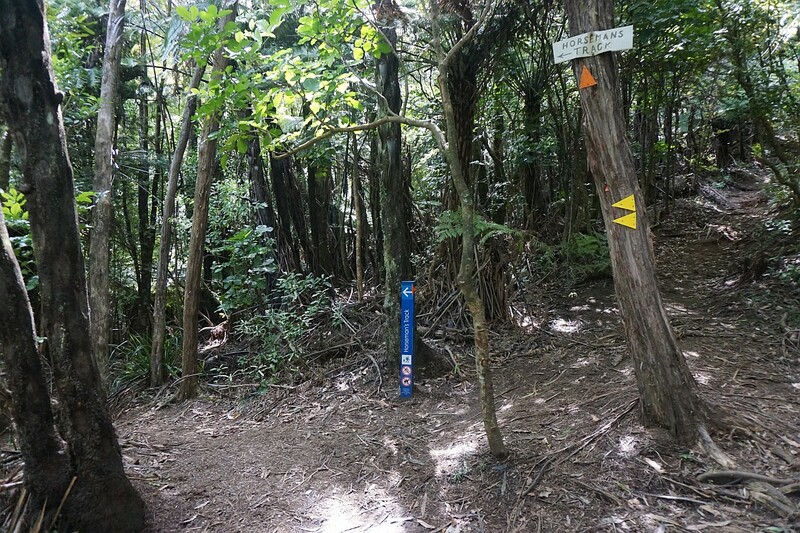 The junction with Lipsey Track is about halfway up Horseman’s Track. Lipsey Track branches off to the left, and Horseman’s Track continues up the hill to the right. 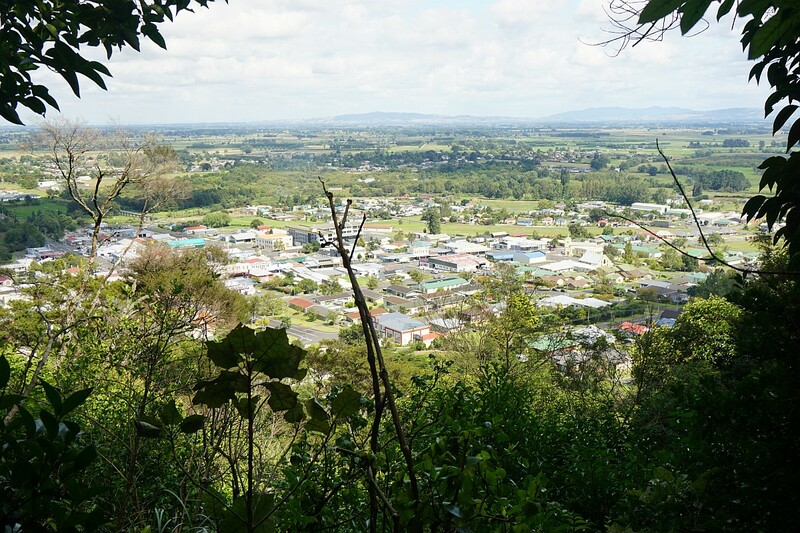 Views northwards further up Horseman’s Track. 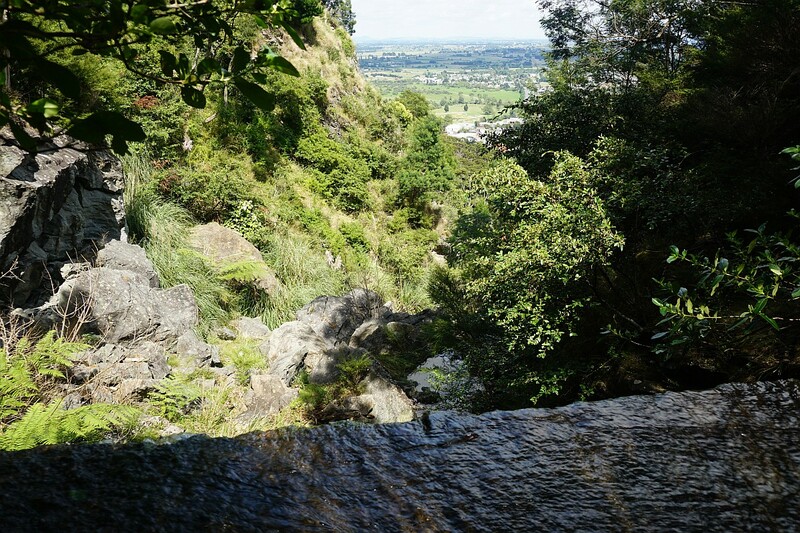 The flanks of Mt Te Aroha have been mined for gold and other minerals. 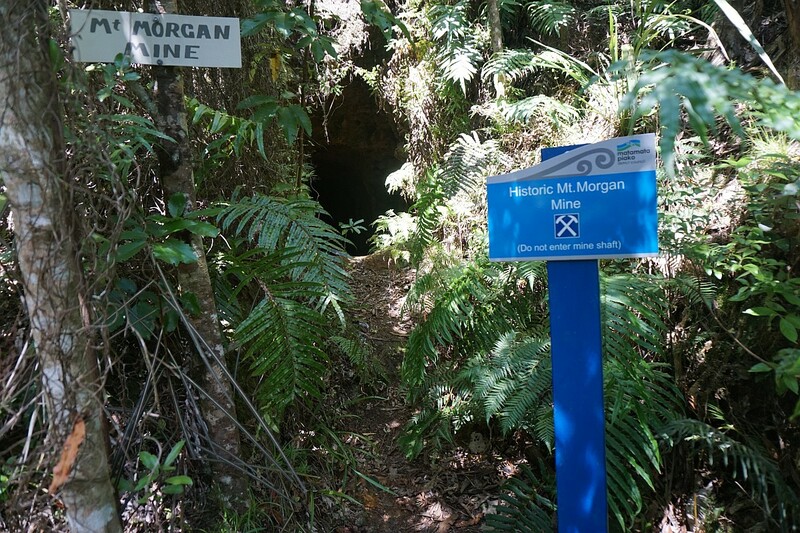 Here the entrance to Mt Morgan Mine, alongside Horseman’s Track. There is no explanation for the origin of the name, when it was mined, and what the extracted from the mine. 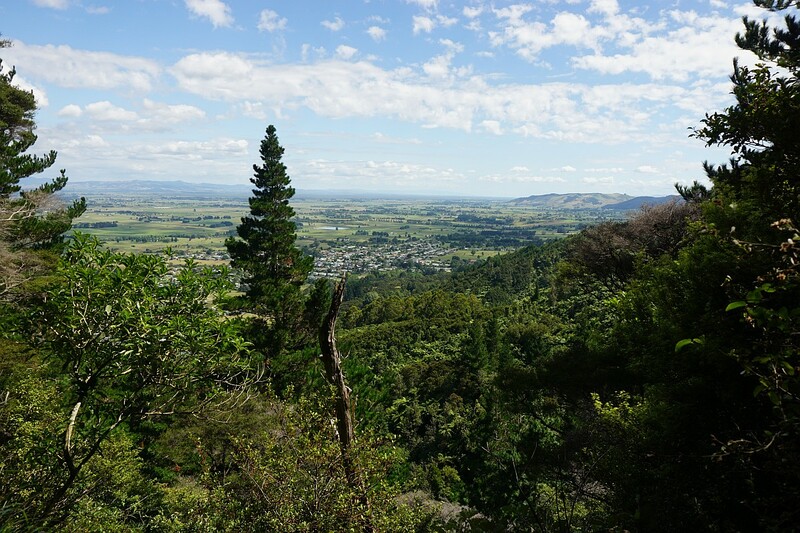 The mast on the summit of Mt Te Aroha can be seen (right of centre) as the track approaches the summit track. 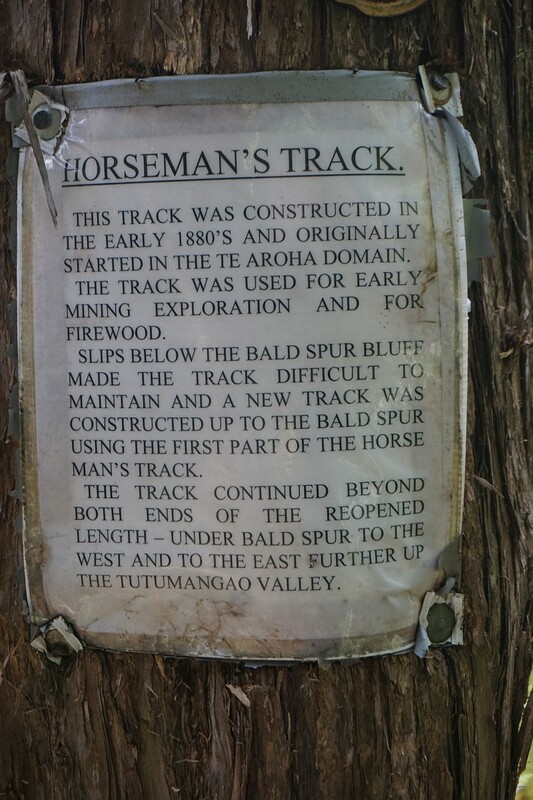 This notice with an explanation about the origins and maintenance of Horseman’s Track is easily overlooked on the walk up the track, as it faces those walking downhill. Approaching the junction with the summit track. 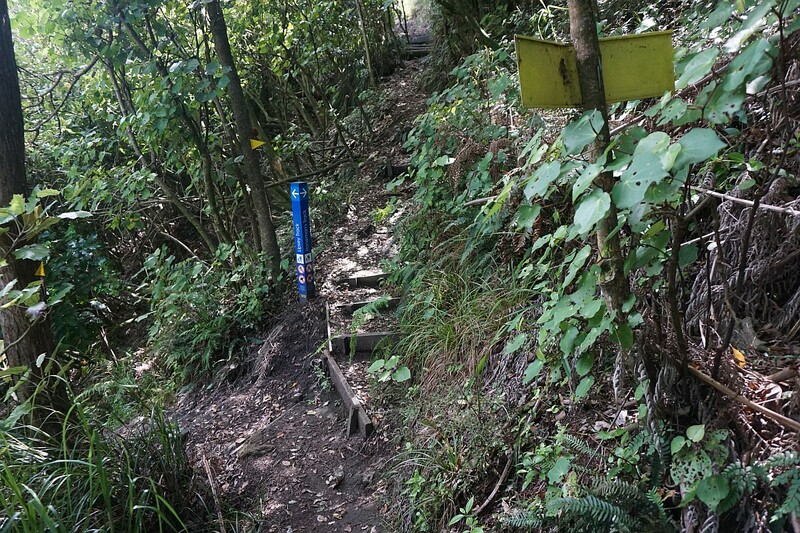 The summit track is on the far side of the blue post marking the start (or end) of Horseman’s Track. On the tree to the right there is an overview of Horseman’s Track and some of it’s history. However it does not indicate the route followed by the current track. It also warns about two stream crossings, but there are no stream crossings on Horseman’s Track. The crossings are on Lipsey Track. 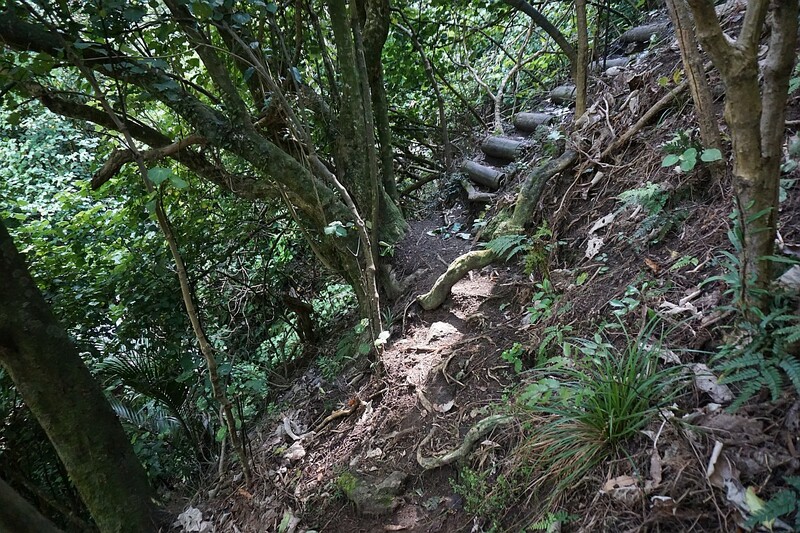 Looking up the summit track on the right, with Horseman’s Track branching off to the left. 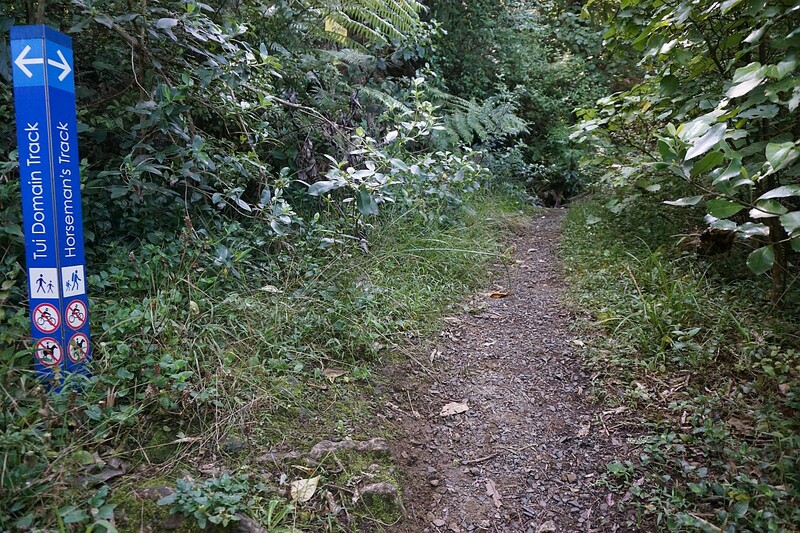 Returning to Lipsey Track junction, with Horseman’s Track to the Domain up to the left (although it’s heading downhill), and Lipsey Track down to the right. The start of Lipsey Track by the junction with Horseman’s Track. 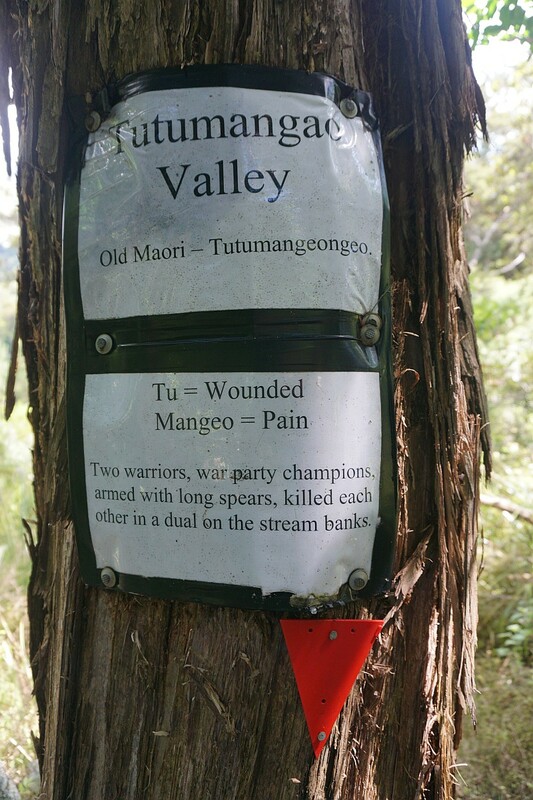 An explanation of the origin of the name of Tutumangao Valley and stream. An old dam was built across the Tutumangao Stream. 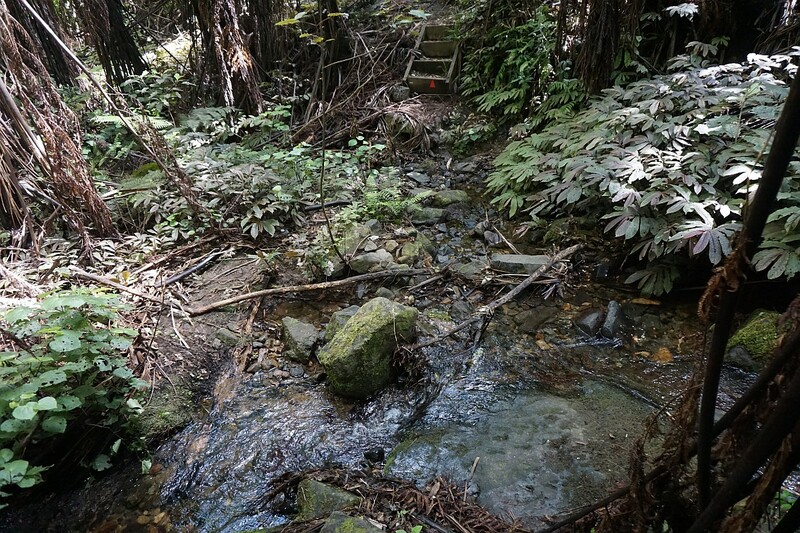 Here the stream crosses over the top of the dam, adjacent to the stream crossing point. The track also crosses the Lipsey Stream. Called Lipsy Stream on topographic maps. Looking from Lipsey Track across the gully to Noels Lookout, seen in the Tui – Domain Track post. The Lipsey Track exit by the water tanks and water treatment plant. Looking back to the start of Lipsey Track, by the blue marker post. 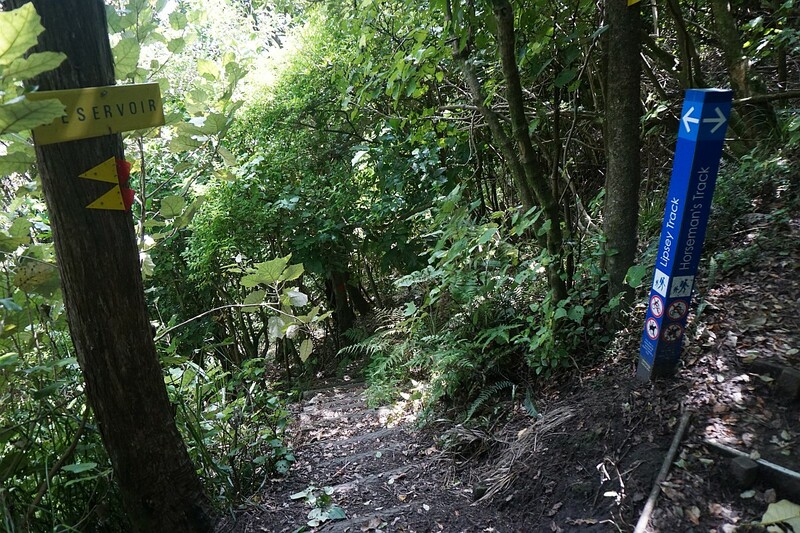 Tui – Domain Track crosses over the sealed road a few metres down the hill from the end of Lipsey Track. 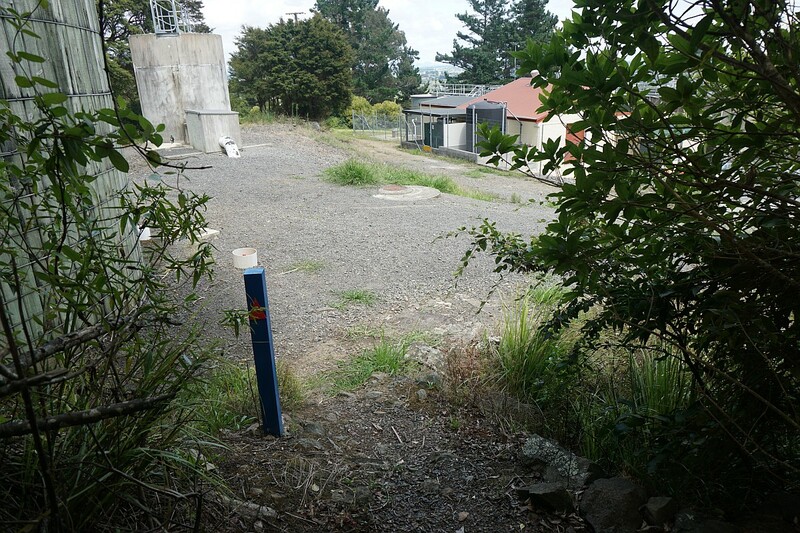 Continue down the sealed road to Miro Street, or follow the Tui – Domain Track back to the Te Aroha Domain. The GPS tracklog shows the route followed, and some of the points of interest. 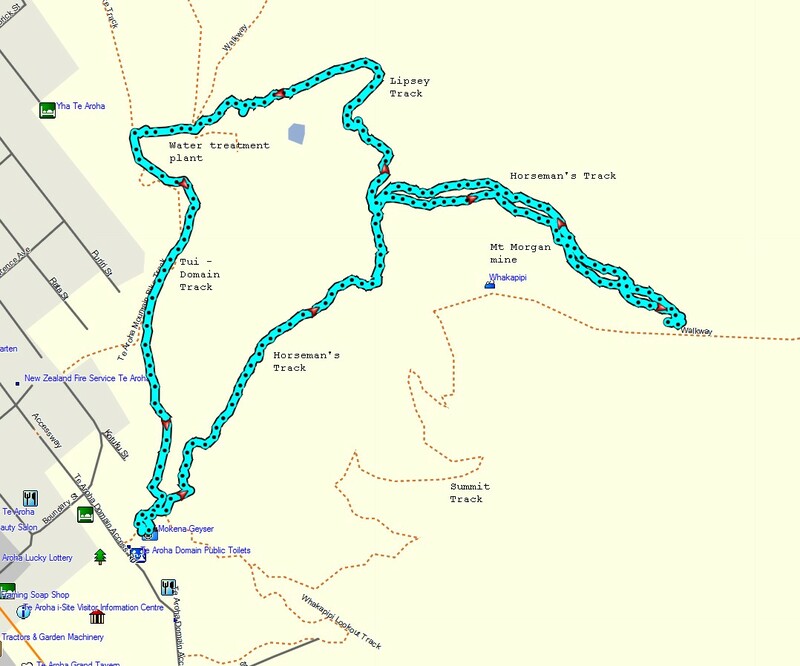 The tracklogs for the upper part of Horseman’s Track should really be identical, but due to steep hillsides and variations in GPS satellite coverage they seem to take slightly different routes. Total: 3.2 km, 1 hour 40 minutes. Domain to Lipsey junction on Horseman’s Track: 650 m, 25 minutes. 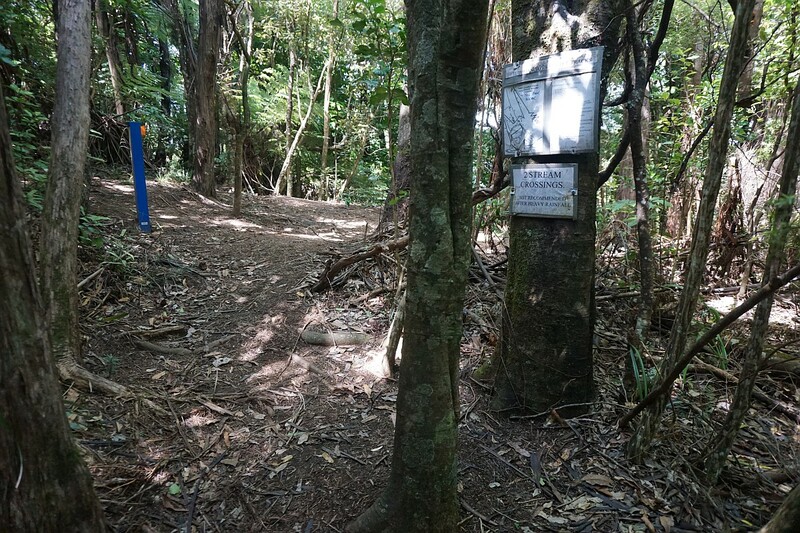 Domain to Summit Track junction: 1.2 km, 45 minutes. Summit Track junction to Lipsey junction: 550 m, 15 minutes. 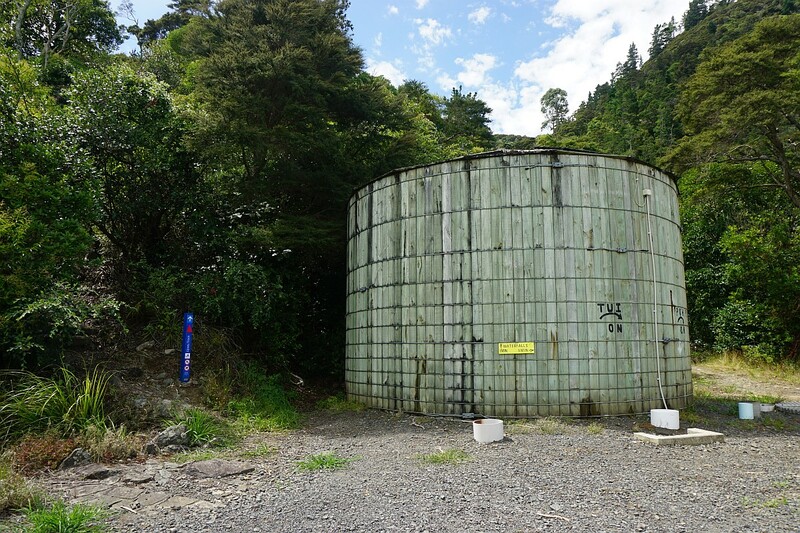 Lipsey Track from junction to water tank: 700 m, 25 minutes. Tui – Domain Track from tanks to Domain: 650 m, 10 minutes. Highest altitude (at Summit Track junction): about 360 metres. The track was walked on February 22, 2016.